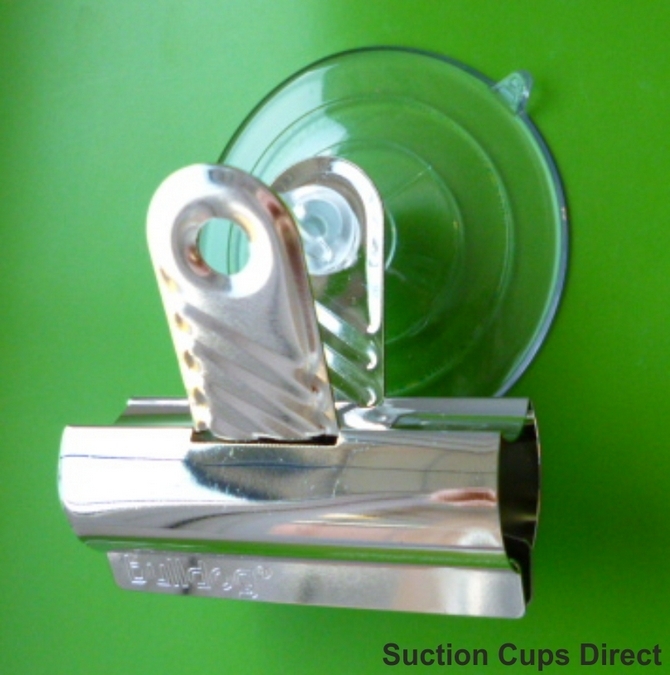 Large suction cups with large bulldog clips. Suction Cups Direct. 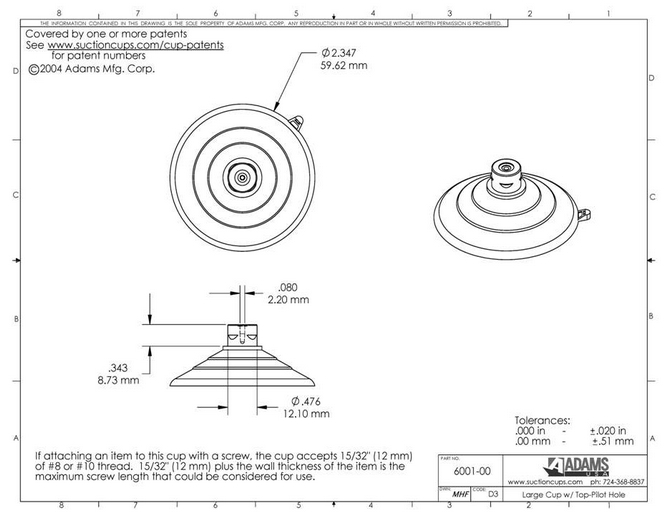 The Adams suction cup is 64mm in diameter and has a 60mm wide shiny metal bulldog clip attached with an Adams clear thumb screw.